Legumes can play an important part in our gardens and food supply. 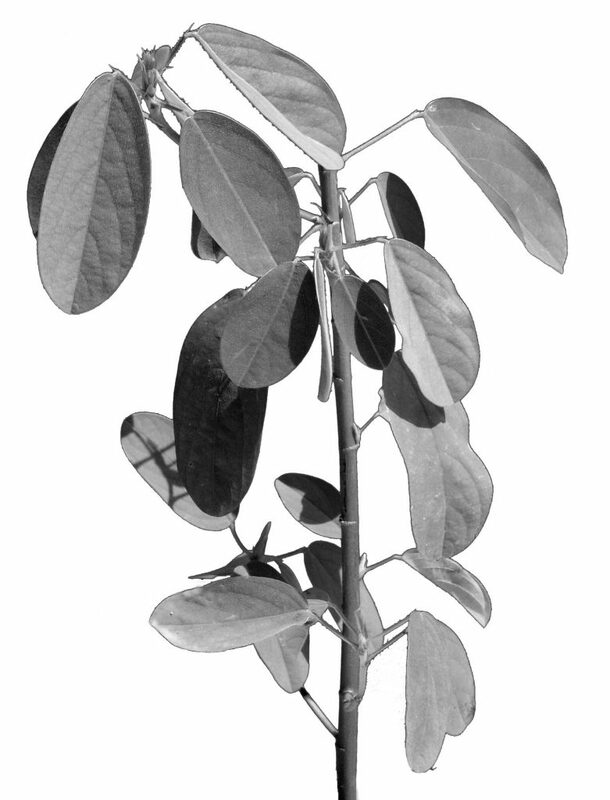 Legumes may be ground covers, climbers, bushes, or of tree proportions. The size of your garden will therefore govern what is practical to grow for nitrogen, mulch or food. Many of the legumes have fern-like foliage and long, thin seed pods. An important feature, is their ability to fix nitrogen from the air, which gives them the power to grow at a fast rate. This nitrogen is stored as nodules on their roots. Interplanting legumes between other plant species is a way of providing beneficial nitrogen for neighbouring plants. If legumes are pruned or trimmed back before flowering, nitrogen from the root nodules is discharged into the surrounding soil, and plants in the area can benefit. Note, there are some legumes, like carob and honey locust that do not fix nitrogen. Many legumes have pea shaped flowers, although some have pompoms like the acacias, while others produce sprays of orchid-like flowers, like the bauhinia. Although all legumes in the past have been grouped into one very large family called Leguminosae, they are now distributed into 3 families, namely Caesalpiniaceae, Fabaceae and Mimosaceae, on the basis of floral differences. There will not be space within this volume to go into details of these classifications, and for further information, a book on legumes, recently printed, would need to be referred to. Legumes often have hard seed coats and it is an advantage to leave them soak in hot water for 1-2 days before planting. Legumes are known for their hardiness and adaptability to a wide range of soils and climates. 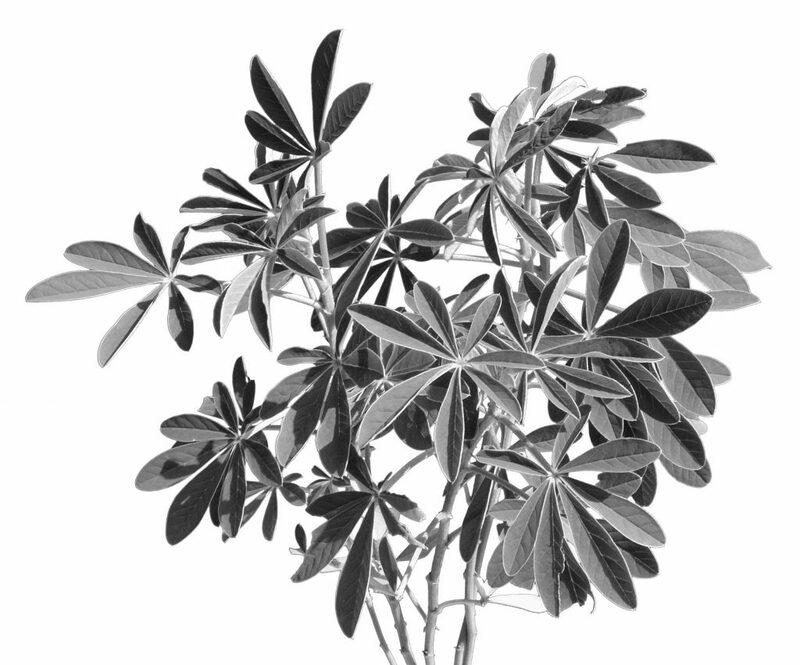 Some of the species close their leaves at night, as well as during strong winds or dry spells. Some defoliate during severe drought, springing back into leaf after rain. Bush and tree legumes are useful for bee forage, wind breaks, mulch and frost protection in gardens. Legumes provide us with high protein seeds, pods and greens for our daily food and for poultry and animals. Throughout the world, millions of people rely upon legumes for their protein requirements and daily energy. Not all legumes are edible for humans. Pigeon peas are a staple food in India where it is traditionally made into dhal. Butterfly Pea (Clitoria ternatea) Perennial, suitable for warm temperate to tropical climates which is grown as a ground cover or climber; pinnate forming leaves with 3-5 elliptic leaflets 3cm long; eye-catching dark blue, pea shaped, 6cm long flowers with a white throat. Flat seed pods 12cm long with 6 or more flat, oval, brown seeds. Grown for soil improving, living mulch, animal forage, edible young pods and leaves. Blue flowers are used for colouring food blue, particularly boiled rice. Flowers are also used as a blue dye substitute for litmus. The plant is used in folk medicine for earache, swollen glands, colic, constipation, sore throat, mucus conditions and skin disorders (p 192).